There have been a million surfing documentary films about wave riders in Hawaii and other parts of the US. 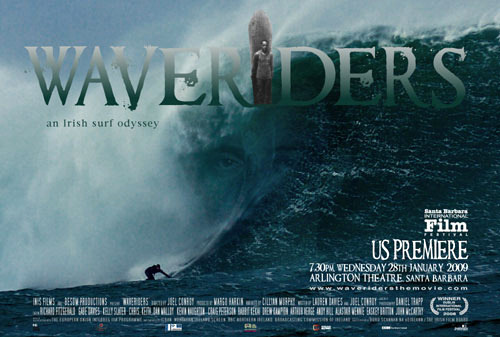 The 2008 documentary Waveriders directed by Joel Conroy tells the largely untold story of big wave surfing in Ireland, which ironically will lead us around the world to places like California and Hawaii. The film shows some gnarly waves in the deadly Irish surf which are ridden by locals and world-renowned surfers such as Kelly Slater (who is featured in the film).